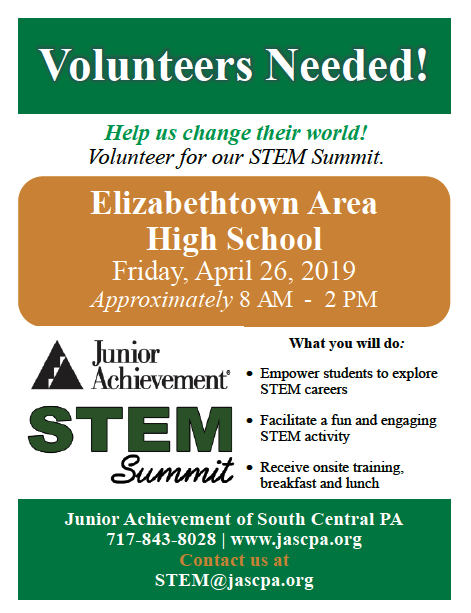 Volunteers are need for EAHS's STEM Summit. Help our students learn about careers in the Sciences, Technology, Engineering, and Mathematics! CLICK HERE for more info on how to register. School directors approve 2019-2020 CALENDAR. ONLINE KINDERGARTEN REGISTRATION is now open for parents/guardians of incoming kindergarten students to make an appointment to register their child for the 2019-2020 school year. Monitor your child's food service account balance and purchases free of charge at EZ SCHOOL PAY. 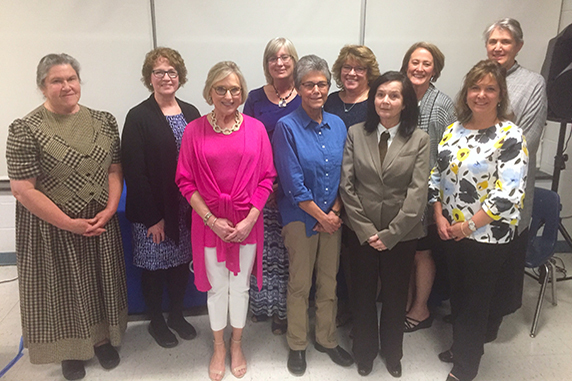 EASD recently held its 2019 Staff Retirement Banquet. In total, nine retiring faculty members, nine retiring support professionals, and one administrator were saluted for their dedication and service to the district. 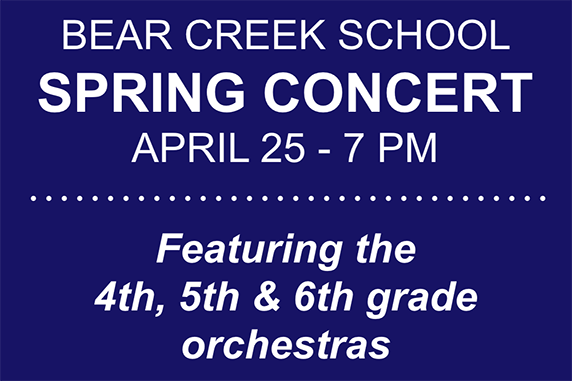 The Bear Creek School student orchestra will perform its annual spring concert on April 25 at 7 p.m. on the Bear Creek School main stage. The concert is free and open to the public. 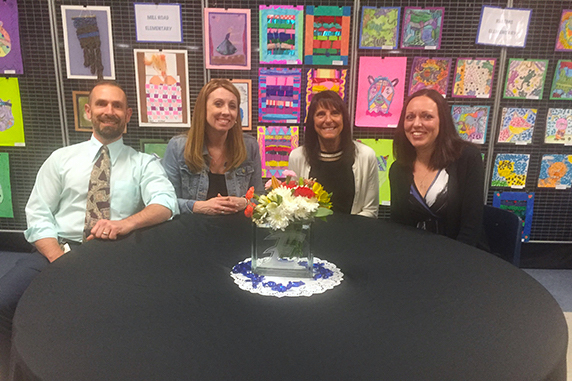 EASD held its annual staff recognition banquet on April 16 to salute employees for exceptional achievement and dedication to students and the district. In total, four faculty members and eight support staff members were honored for their outstanding service. 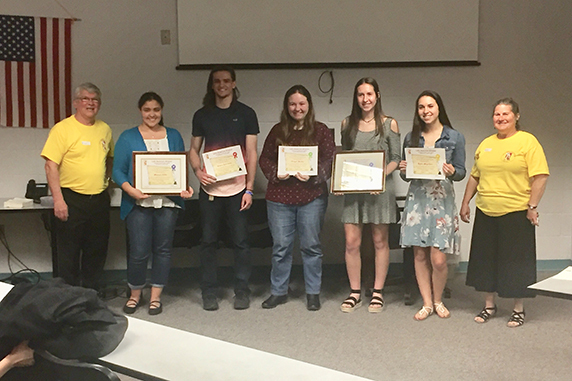 Elizabethtown Area High School students Abigail Bender, Skylynn Coble, Lydia Moynihan, Julia Raybold, and Caden Robinson won awards in the Latin American Alliance of Lancaster’s 2019 Spanish Literature Contest. 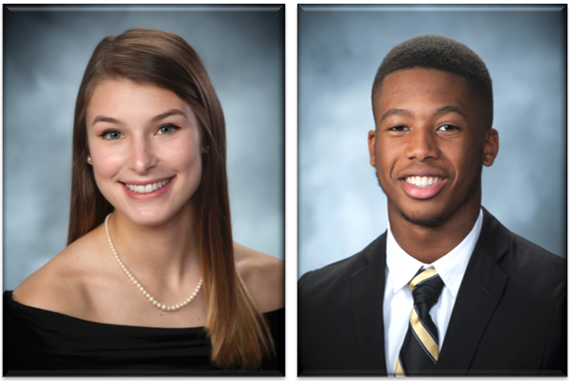 EAHS seniors Katherine Bomboy and Amos Kollie were named the Elizabethtown Rotary Club’s students of month for April. Bomboy and Kollie were honored for their high academic achievement and extensive involvement in school and community service activities. EAHS's Science Olympiad Team recently competed in the regional Science Olympiad tournament held at Millersville University. 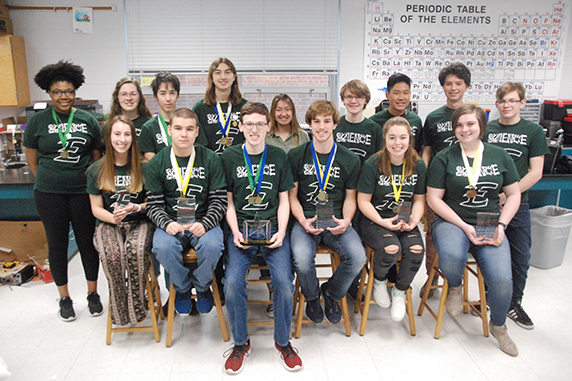 Competing in events in the areas of biology, chemistry, engineering, environmental science, physics, and science writing, the team placed sixth, earning a birth in the state tournament. 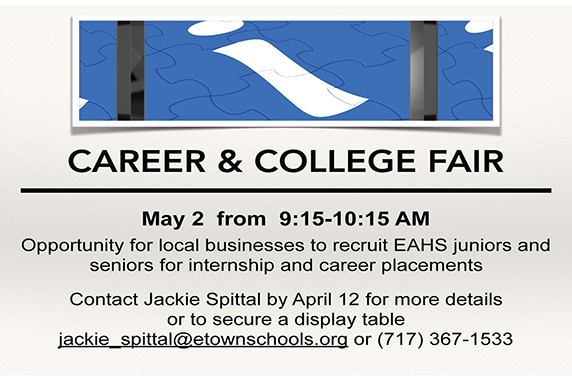 Elizabethtown Area High School will host a Career and College Fair on Thursday, May 2 from 9:15-10:15 a.m. Local businesses and colleges are invited to take part in this program. Deadline to secure a spot in the fair is April 12. 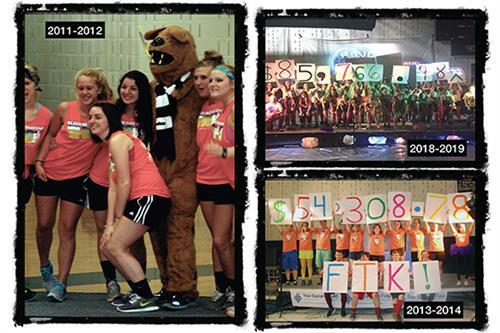 The Elizabethtown Area High School Mini-THON Committee invites the community to attend a short celebratory ceremony on Saturday, April 6th in which they will honor the Millard family and the legacy they left behind in founding the Four Diamonds at Penn State Children’s Hospital. 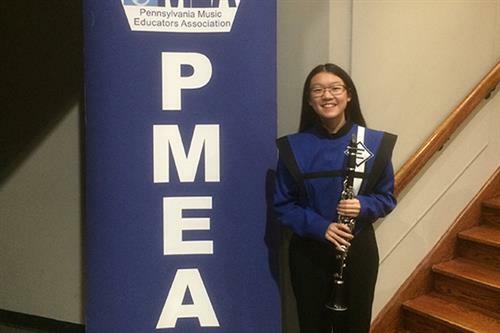 Elizabethtown Area High School band student Emma Foley recently performed at the prestigious 2019 Pennsylvania Music Educators Association (PMEA Region 5 Band Festival. 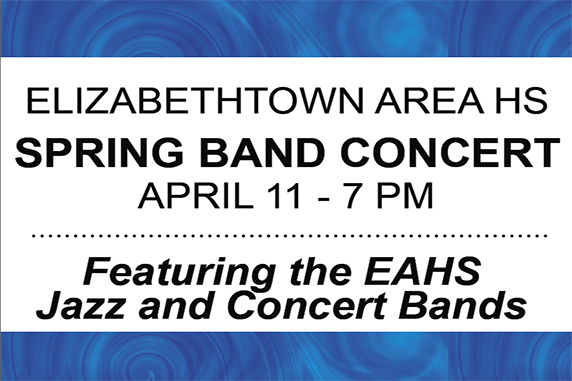 The Elizabethtown Area High School band will perform its annual spring concert on Thursday, April 11 at 7 p.m. The program will be held in the high school auditorium and is open to the public free of charge.